Following the success of Chevrolet's "Superior" passenger car range. General Motors in 1926 introduced a sturdy commercial chassis, as the same mechanical specifications as the car. As was the case in those days, the customer bought the rolling chassis, installing the load bed and cab according to his requirements. 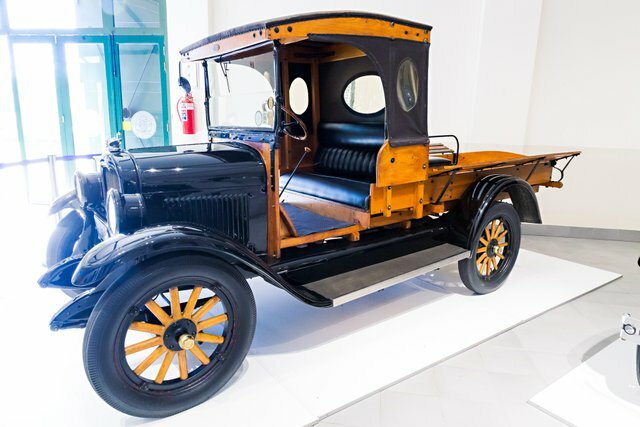 However, since the success of the Dodge pick-ups of the mid 1920s, sporting factory-built cabs, Chevrolet also offered a closed cab model in their 1926 range. The chassis if this particular vehicle was imported by General Motors South African, and the wooden flatbed and cab were built locally. Please upvote if you liked this post, follow if you want to see more, and let me know your thoughts in the comments. @cheeto.blue, sorry to see you have less Steem Power.